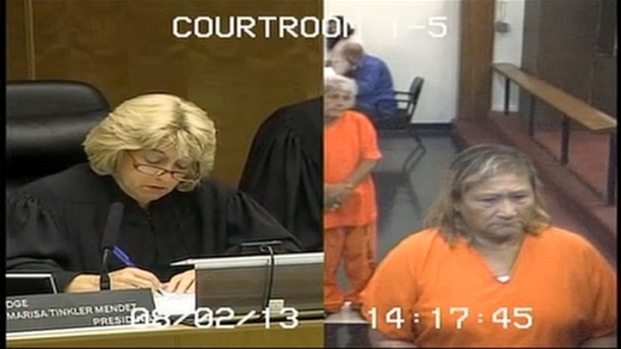 Gladys Jaramillo was given a $25,000 bond and an immigration hold Friday. The mother who was arrested Thursday for keeping her son with autism in dungeon-like conditions had her bond raised after detectives revealed she was not a U.S. citizen. Gladys Jaramillo, 56, was being held on $25,000 bond Friday on the condition that she remain on house arrest and surrender all travel documents. She also faces an immigration hold. 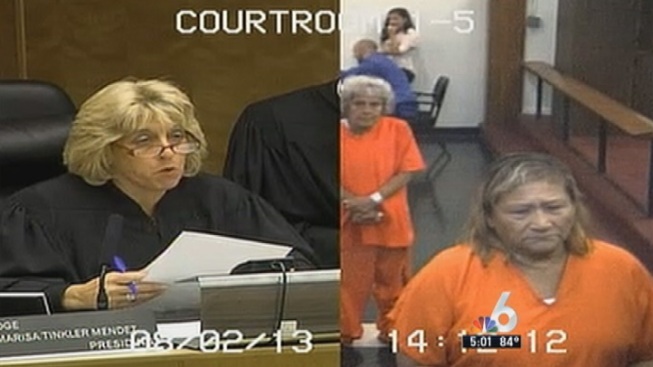 A Miami-Dade judge said Jaramillo is to stay away from her 30-year-old son, who police say she kept sedated and locked in his room with iron bars and a dead bolt while she went out with her boyfriend. Jaramillo was charged with aggravated abuse and neglect on a mentally disabled adult, along with false imprisonment after police were called to her trailer home at 11250 NW 3rd Street in Sweetwater. The anonymous caller told officials Jaramillo kept her son in a small gated room while she left for hours at a time, police said. Gladys Jaramillo was granted $25,000 bond on the condition that she surrender all travel documents and be placed under house arrest, as well as avoid contact with her son with autism who she kept in dungeon-like conditions at their Sweetwater home. When police arrived, the home was empty. Miami-Dade Fire Rescue forced entry into the trailer and officials found a small room with a blacked-out window and a rusted iron door with a lock on the outside. Authorities described the room as dungeon-like and said there was a strong odor of urine and feces. They said the floor of the unlit room was coated with human waste. Police discovered Thursday that a 30-year-old man with autism was being kept in “dungeon-like conditions” in a Sweetwater trailer home, authorities said. Sweetwater Police spokeswoman Michelle Hammontree-Garcia discussed the case. Jaramillo was arrested as she and her son returned home. The son was taken to Kendall Regional Medical Center with non-life-threatening injuries and is expected to be placed with the Department of Children and Families. A neighbor who had been in the trailer home several times told NBC 6 that she was surprised by the arrest. "Everything was clean," neighbor Nelia Vidal said. "Everything was fine, normal." The bond court judge told Jaramillo if she needed to contact her son, she could do so only once within the first 48 hours of her release.